In today’s technology-mediated world, George Miller’s call to “give psychology away” to the public has become ever more salient (Tomes, 2000). The APS Wikipedia Initiative has embraced this call by challenging APS members to improve the accuracy and accessibility of psychology-related content on Wikipedia. For instructors of undergraduate courses, the APS Wikipedia Initiative provides a context for students to write about psychological science for the widest possible readership using minimal scientific jargon. Given Wikipedia’s use of crowdsourcing to produce content, students also may find themselves engaged in discussions about psychological topics with other editors via “talk pages,” where Wikipedia content is negotiated. Wikipedia provides a unique place where students can learn to locate reputable source material, paraphrase key points from readings, organize their ideas coherently, and respond to feedback from others. Based on our experiences, we have created the following tips for making Wikipedia assignments more manageable for teachers to implement and more fruitful for students. Before bringing Wikipedia editing and other resources into your classroom, we recommend that you contact the Wiki Education Foundation and familiarize yourself with their online training materials available for instructors and students, which cover Wikipedia basics such as how to set up an account, check the history of edits, and insert hyperlinks to other articles. The Wiki Education Foundation can connect you with other psychological science educators who are teaching with Wikipedia and assist you in setting up a Wikipedia course page where you can track your students’ edits and monitor their completion of the online training as well as their communications with other Wikipedians about the articles they are editing. When planning your course assignments, it is important to enlist the support of Wiki campus ambassadors or academic librarians to help your students with tasks ranging from formatting information to locating appropriate source materials. It will be a huge relief for you to be part of a team when your students need the extra support. For introductory-level assignments, your best bet is to preselect articles for students to edit. Start by identifying topics from your textbook or other readings and searching Wikipedia for related content. When browsing Wikipedia, search for flags that identify articles in need of improvement. These “poor-quality” articles may be assigned to students for cleanup and contrasted with “good-quality” articles serving as the standard for comparison, as listed here. For an advanced-level class or honors seminar, you can encourage students to expand Wikipedia by developing new articles. Be prepared to help them identify course-related topics that are missing from Wikipedia and to show them how to use secondary sources, such as their textbooks, to establish “notability” — that is, verification that a specialized topic warrants having its own article rather than being a subsection of another article. Low notability may result in an article being flagged for deletion, in which case your students may want to incorporate their work into preexisting articles that cover broader topics. Wikipedia editing is easier to support in the classroom if students work collaboratively in small groups, with peer review and online communication via talk pages incorporated into the assignment. 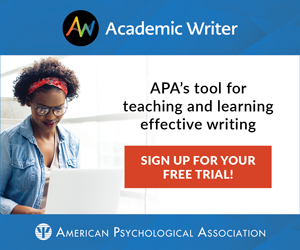 To address potential difficulties related to evaluating individual students’ contributions to an article, you might consider identifying a specific editing task for each member of the group. Be sure to scaffold student work to make each step of the process explicit: Devote class time to teaching students how to cite their textbooks and other assigned readings, how to find reputable secondary sources via the library (Wikipedia prefers secondary sources over primary sources), how to paraphrase source materials and summarize information in lay terms, and how to avoid plagiarism. When implementing peer review, use rubrics that provide examples of constructive feedback and teach students how to use the talk pages to negotiate the content of their articles, both within and between their groups, so that they know how to communicate effectively with other Wikipedians when their edits go live. Remind them that posting content before it is properly vetted can result in harsh feedback from the Wikipedia community. Bots may flag their articles, and editors may remove their work if they deem it subpar. At the same time, let them know that you will advocate for them if they are treated unfairly. Christina Shane-Simpson and Patricia J. Brooks will be speaking at an APS–STP Teaching Institute talk on “Implementing the APS Wikipedia Initiative in General Education Coursework” at the 2016 APS Annual Convention, May 26–29 in Chicago, Illinois. Shane-Simpson, C., Che, E., & Brooks, P. J. (2015). Fostering information literacy through collaborative Wikipedia editing in a large classroom. Manuscript submitted for publication. 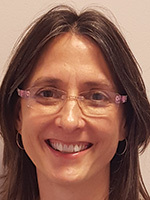 Christina Shane-Simpson is a psychology instructor at The Graduate Center at the City University of New York, the College of Staten Island, and Hunter College. She can be contacted at cshanesimpson@gradcenter.cuny.edu. 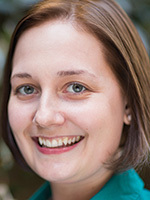 Her research program explores individual differences in the use of computer-mediated tools. Patricia J. Brooks is a professor of psychology at the College of Staten Island and The Graduate Center at the City University of New York. Her research program focuses on individual differences in language development across the lifespan. She can be contacted at patricia.brooks@csi.cuny.edu.